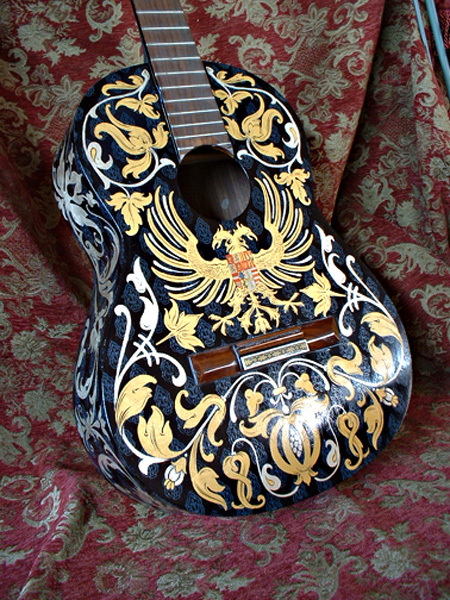 I painted this guitar as a donation to Philharmonia Baroque Orchestra's annual fund-raising auction. The theme of the auction was Spanish Splendor, so I tried to come up with something appropriate. The ornament was adapted from 17th century Spanish textile designs and executed in white and yellow gold leaf.